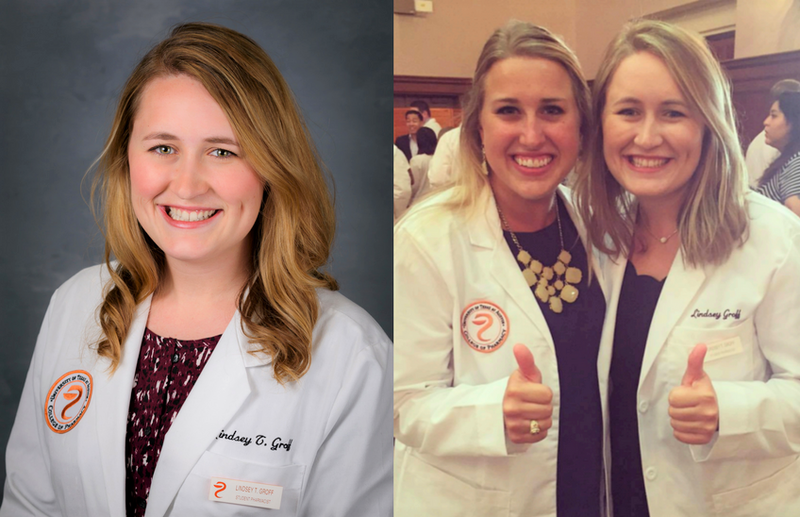 Flexibility is what drew University of Texas pharmacy student Lindsey Groff to the field. In fact, she chose pharmacy over the other healthcare professions due to the flexible work hours, diversity of practice sites, and her passion for chemistry. Read her story below! I was attracted to pharmacy the first day I stepped into a pharmacy as a cashier in high school, it was then I knew that I had found a profession that I would truly enjoy. To solidify pharmacy as my ideal profession, I acquired my pharmacy technician license and began working more regularly in a pharmacy. I was fortunate to train under a fantastic pharmacist in charge. I selected my pharmacy program based on the rigor of the program, respect of the program, the huge alumni network, and location relative to family. The first pharmacist I worked for pushed me toward the idea of pursuing pharmacy school as early as high school. Currently, I have several mentors who help shape me personally and professionally for the profession. I am fortunate to be surrounded by great mentors at my college of pharmacy. If I can give a word of advice, it would be to find a mentor that truly wants to invest in you and your future. Mentorship is invaluable in pharmacy. You will hear this often but pharmacy is a small world. Yes, I collaborate with my pharmacy peers frequently in lab, class, and organizations. Often, your classmates are your shoulder to cry on and your biggest cheerleaders.